Indian design and style has its own charm and characters. It is easily recognized even from a single glance. People outside India also like this style and use in their very home. 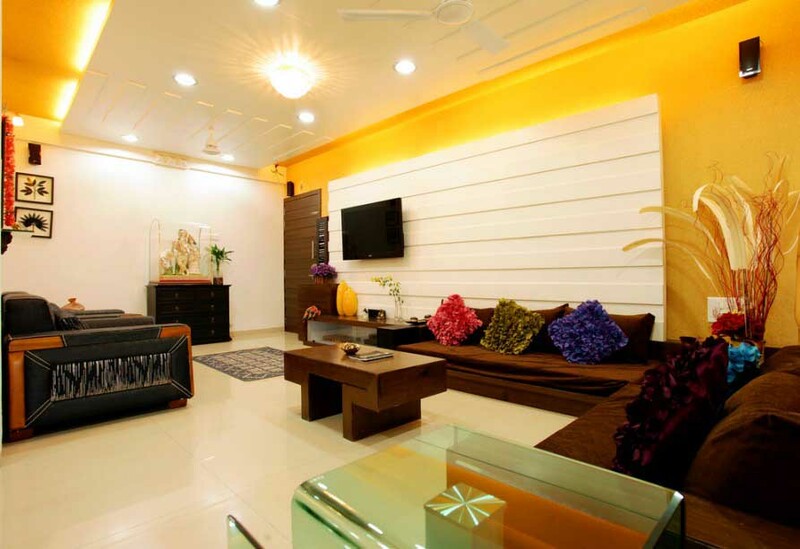 Today’s article will discuss about some ideas to have living room designs Indian style. What colors, patterns, furniture, and accessories you need to select to have some touch of Indian in your living room. Now, read this completely to find out the Indian formula. 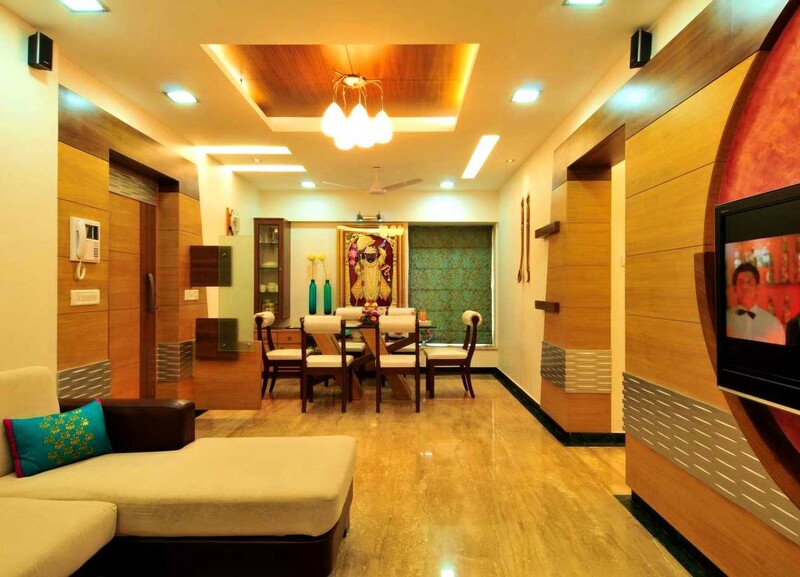 This hall gets the Indian touch from the yellowish color emanated by the lighting above. Supported by browns and creams from the furniture below and patterned curtains as well, the hall is on the go to carry Indian concept. The focal feature must be the big brass bowl on top of the coffee table over there. It reminds us so much with a scene from Bollywood films, right? As a bonus point, you get to see a beautiful ceiling which involves some wood in its design. 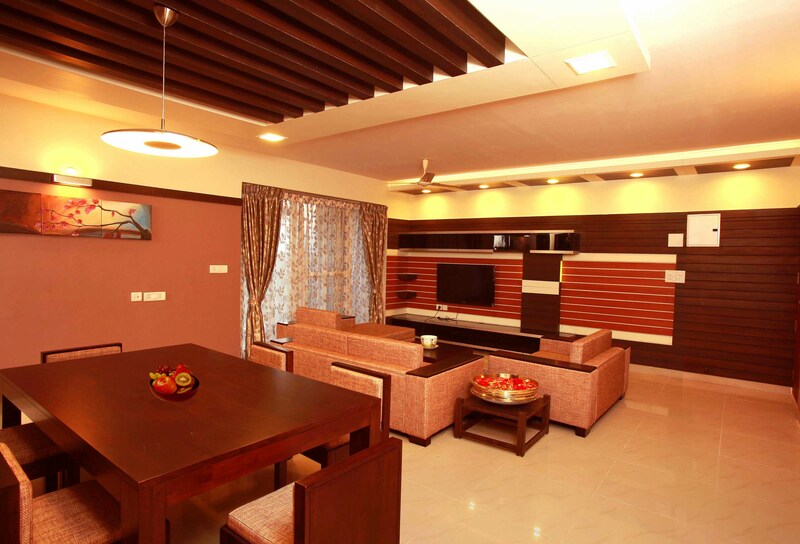 Two big pillars in natural brown finishes are enough to have everyone agrees that this living room is rich in structures that make it so India. Let alone the absolute other elements in rich colors which makes whoever sitting there feels like in the said country. There is so much to mention from this single picture. 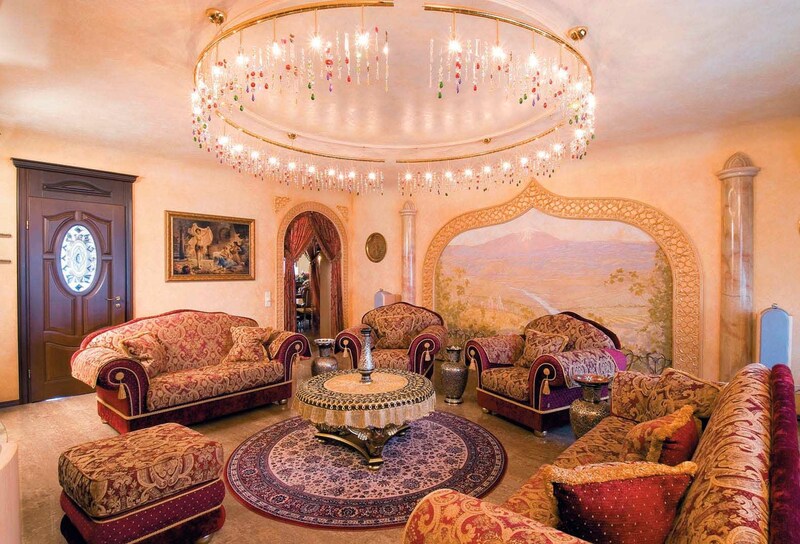 Let’s say, there’s that tremendous arch, the Moorish pattern, stitched throw cushions, and a leather big ottoman that serves as table, for instance. All elements written have rich color which becomes crucial points of Indian style. The combination of each and every item creates a profligate environment. 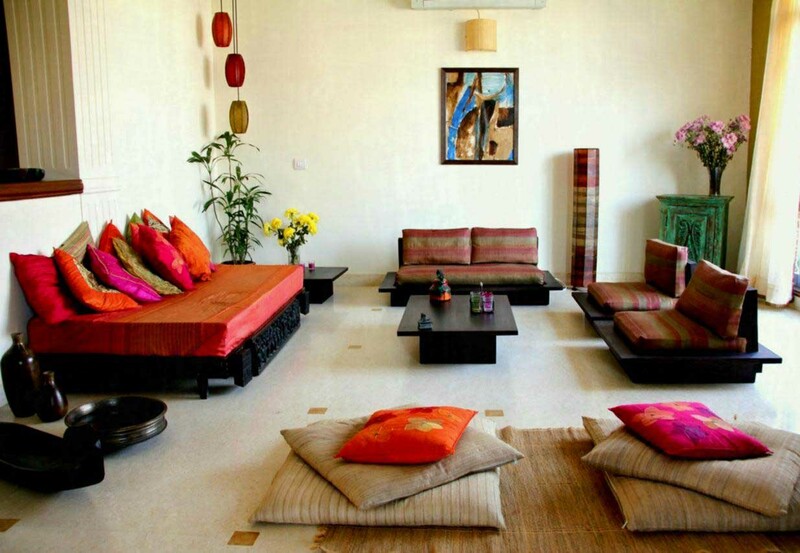 What makes this living room considered to have Indian style is because of the usage of rich and bold colors. 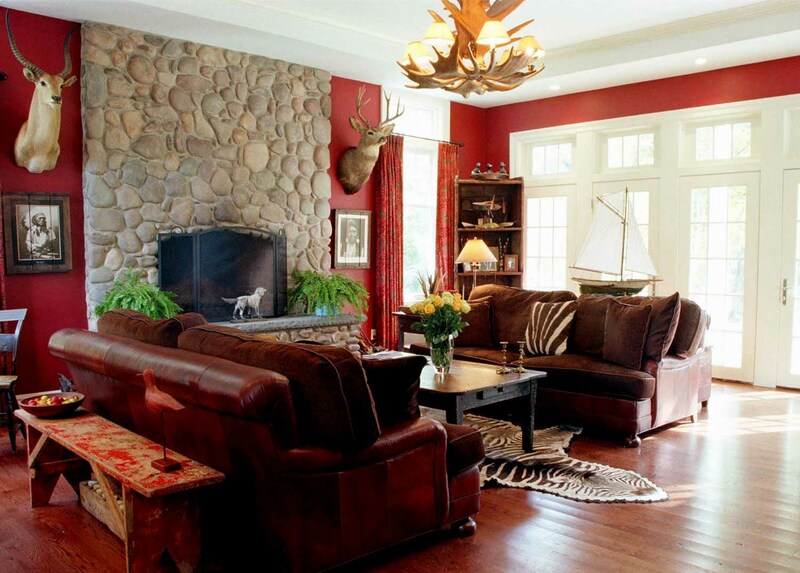 The owners of this living room, for instance, blend brown, deep red, and orange into the mix. Since brown is the main shade, it could be clearly seen pretty much in everything, from the floor all the way up to the walls. Meanwhile, you can see red and orange as the accent colors only. They are in the throw pillows, table lamp shades, and the wall displays. And such color combination is supported by the lively patterns from the cushions. 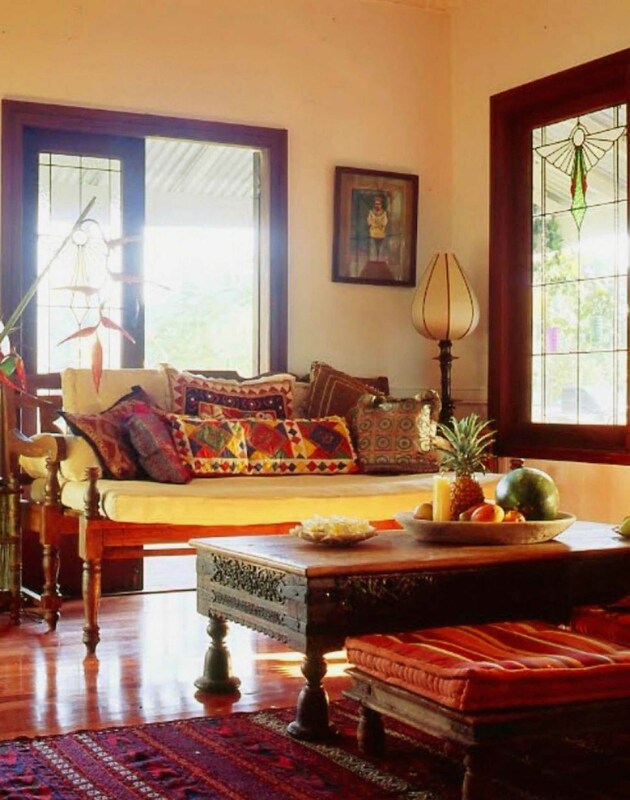 Aside from rich color and texture, handcrafted furniture becomes another characteristic of Indian style. Therefore, if you want to have Indian touch within your living room, have some handcrafted furnishes, such as the coffee table seen in the picture. Any exotic timbers, like ebony, rosewood, and teak wood, are just the perfect material to be handcrafted. They’re considered to be authentic. 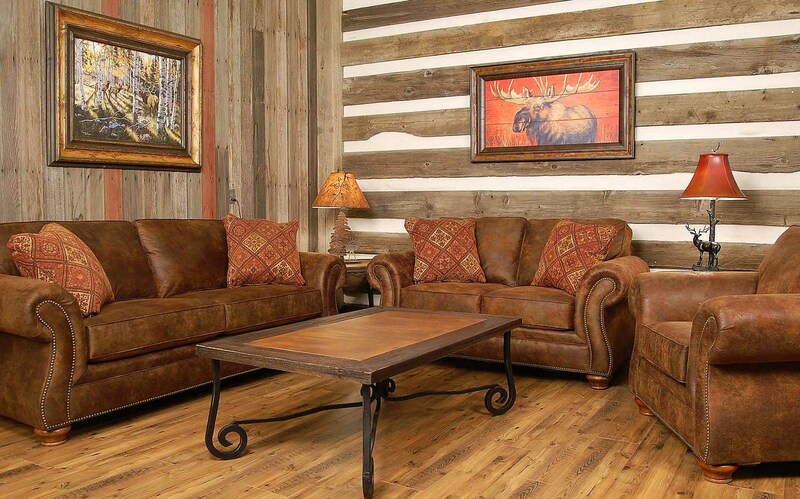 Besides, they have rustic look and solid quality, on top of that. After have some of such furnishes placed in the living room, complete the style with colorful and patterned accent cushions. Having a traditional daybed in your living room never hurts. At least, that’s what this picture wants to tell you. Don’t forget to give some Indian touch by throwing some bold and rich colors on top of it. In this case, the said colors are seen to be the cover sheet and throw pillows. As much as traditional the daybed is, the seating in front of it is also conventional. The height is what tells. Aside from the daybed, colors, and seating, metal accents places next to the divan also support the idea of Indian style in this living room. Clay brown is still on the top list of Indian style element. In other words, if you want to define your living room style to be Indian, then have clay brown as the main shade, then you’re done. 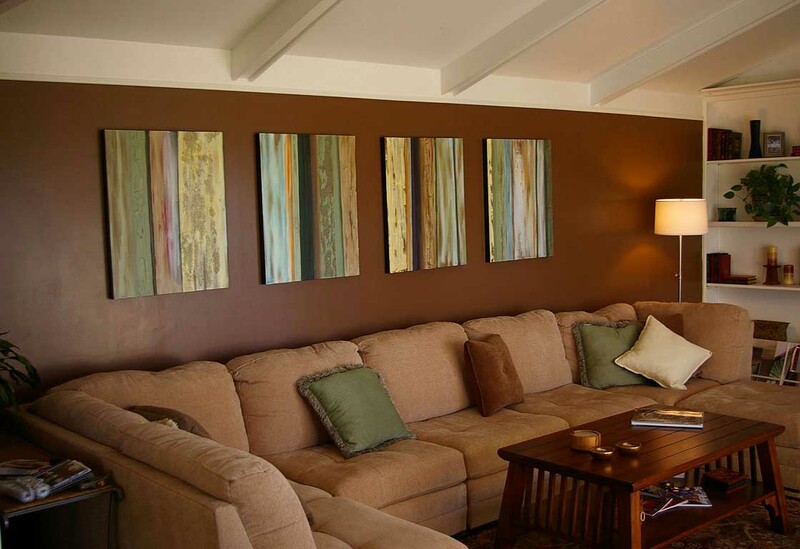 For some bonus points, mount some wall art in mix color like those in the picture. 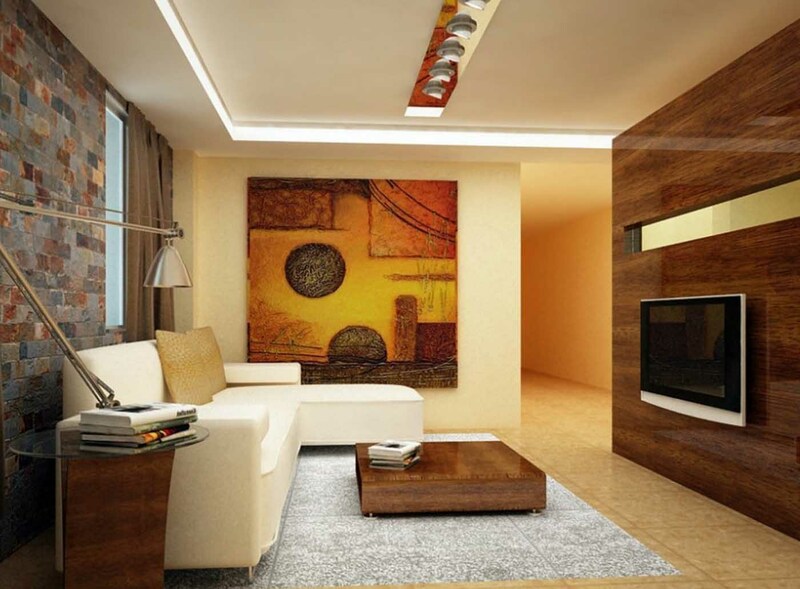 For this one living room, the touch of Indian is seen in the decoration; wall art to be exact. It is the huge square one across the room that comes in a combination of yellow, orange, and red tones. Do not miss the natural stone accent wall behind the couch. It plays a big role, too, since the wall is composed of colorful bricks. No matter where you look at inside this picture, the touch of India is seen all over the place. From the pattern and color to the displaying exotic artwork, all of them are hinting Indian characteristics. A little example is neatly shown by a teal toned throw pillow above the couch. It comes with the touch of gold and pink. Other examples are the formed window color of green and the red part of the accent wall behind the television. What’s good about this room is it has open concept, so that the dining area across the room is clearly seen from here. With an open concept like this you could get to interact with people from the other room. This room has so many details to begin with. Firstly, its interior takes the design of traditional which far from the word ‘simple’. But that’s no problem at all. Simple is not quite the part of Indian style. Secondly, it has certain sorts of decorations and furniture that read Indian from the left to the right. Thirdly, it doesn’t stop with interior design, decorations, and furniture only, but the lighting glows also support the Indian style. It’s not the bright usual white, but dimly lit yellow instead. And with a living room spreads this big, you surely could welcome a lot of guests. Well, we don’t know, maybe you want to have flash mobs here? This area should be the role model of Indian style living room. Why’s it so? Firstly, it is because of the furniture that studded with pattern in Indian colors. Not only the pattern that is considered into account, but the design also. Secondly, it’s because of the paintings and mural on the walls. They’re related to Hinduism and that’s so India. Thirdly, it is because of the big lighting above there. For such a large room, it’s natural to arrange a big round lighting like that. Let alone the other minor room elements which support the whole concept. This area is like an open cheat sheet on Indian style living room. As a house front component where you welcome your guests, a living room should be this delicately inviting. It is filled with art. You can see it on the walls and the floor. The lighting arrangement is also enchanting. Apart from the main lighting in the middle, there are also some supporting table lightings. Combining Indian style with tropical plants, actually, could be this interesting. How well the palm trees go along with the elements of Indian, such as colorful textiles, traditional handicrafts, and metal artwork. They create the effect of classy and rich. Not to mention the beautiful floor design in the form of hand-woven Kashmir carpets. Both parties complement each other and add the overall aesthetic value. How fascinating! 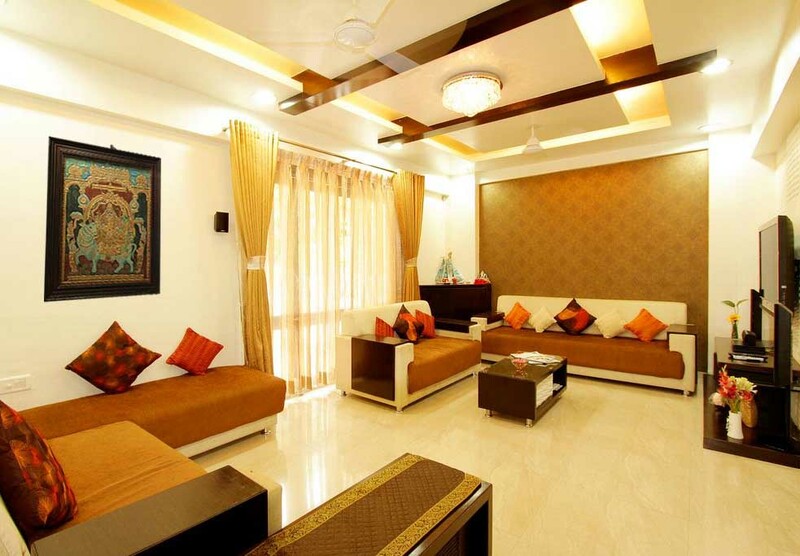 This mainly red living room involves modernity and classic to be considered having Indian style. The modernity comes from the unique lighting arrangement, stone accent wall, fireplace as its focal point, and red painted walls. Meanwhile, classic shows itself in the animal head displays, photo frames, patterned curtains, red leather sofa, cowhide rug, and the wooden floor. ‘Elegant’ will be such understatement to define this living room. It is way more than only elegant. Apparently, numerous amounts of throw pillows get to be there in a frame of Indian style living room. They should be colorful also, on top of that. But the hue still has to be in harmony with the rest of the room. An example is being explained by the picture. Gold schemes from the ceiling piece, curtains, and other accents, complement the brown shades from the patterned accent wall, sofa, and the throws. Meanwhile, white is seen to be the main tone all over the place. Yellow and sculptures are enough to define the room as Indian. 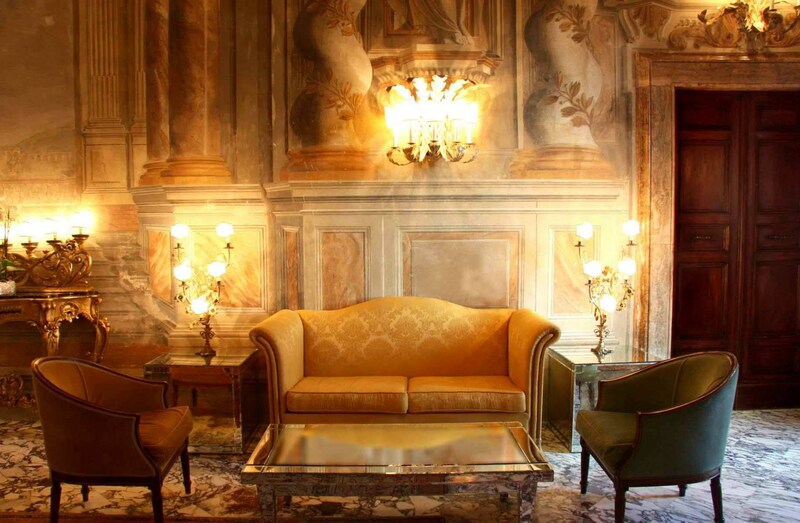 But this living room doesn’t only have those said two elements, it also has the others. 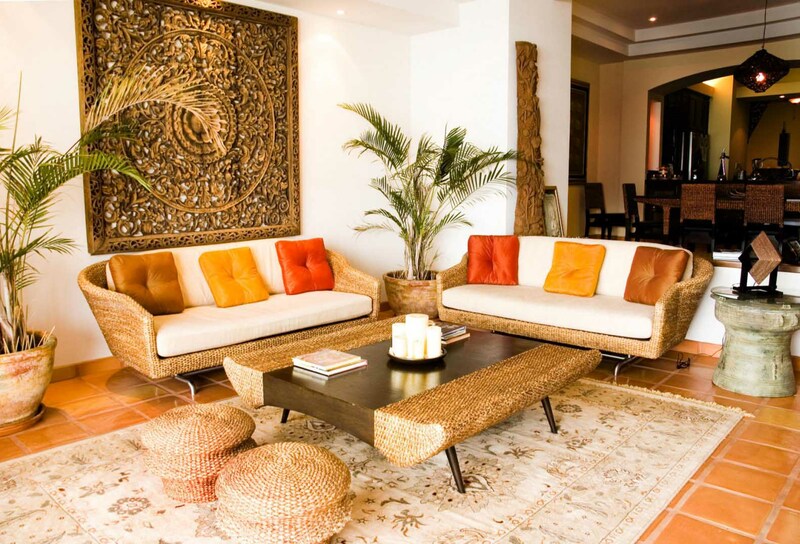 For example, the throw pillows in bold tones, that unique-shaped wooden coffee table and also brown sofa which implies Indian style in harmony. 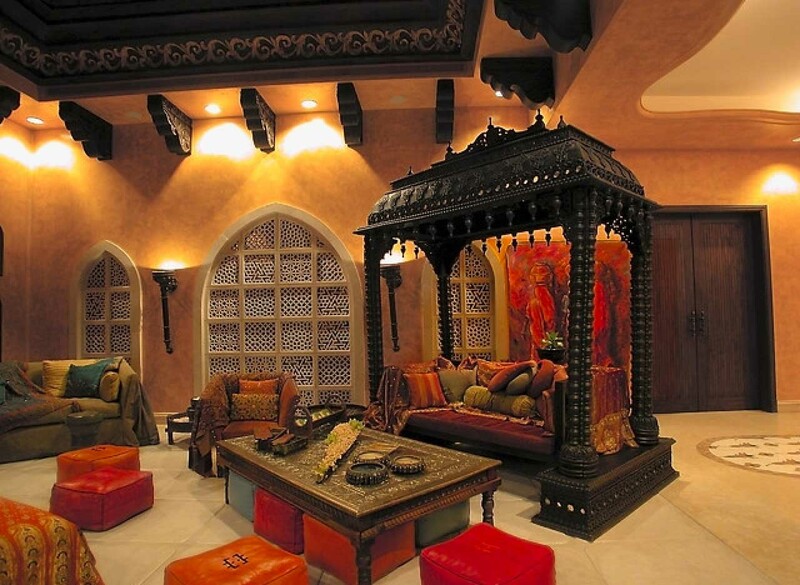 There, you have screened all 15 living room designs Indian style owned by today’s article. 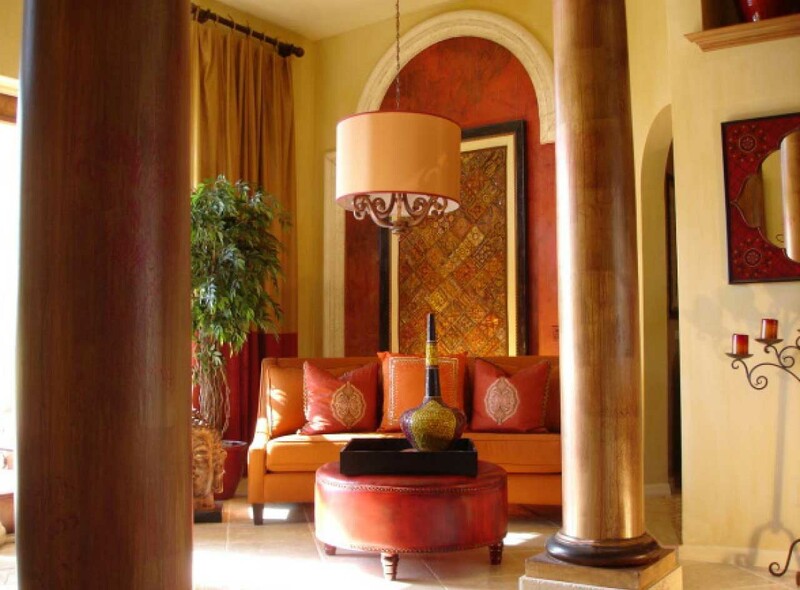 To sum it up, you need to use rich colors, textures, and patterns to give a touch of Indian style for your living room. In the other words, be brave with your color selection. Thank you for reading and have a nice day!